TSS: March 2013 Recap – my books. my life. Happy Easter. It’s time to recap March! 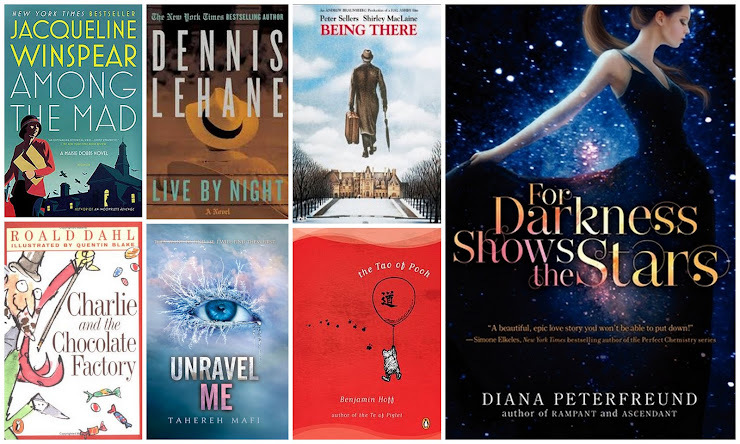 My favorite of the month is For Darkness Shows the Stars. I also reviewed An Incomplete Revenge; Level 2; The Emerald Atlas and shared a few photo posts: a day at the beach and our trip to Savannah. I confessed that I struggle to find ways to read with Evan. Finally, I guest blogged over at Liberating Working Moms about giving up control. Illness and house guests led to very little dancing and absolutely no running in March. But I WILL start running this week. I swear. I’ve got a FitBit bet to win. Evan is ten months old and I am already planning his birthday party. Where does the time go? He is thisclose to walking, cruising around the furniture like a champ. He’s eating everything we put in front of him and still just a generally happy baby. I just need him to start sleeping through the night. I guess I thought that would happen by now. But here I am, still up twice a night with him. Oh well. I’ll sleep someday. On the breastfeeding front, things have changed a bit. I gave in to Evan’s refusal of breastmilk in a bottle so he only gets formula when I’m away during the day. And just this last week, I gave up pumping completely. Freedom! I am still nursing him 3-4 times per day/night and I hope to keep morning/night/weekend nursing as much as I can. Evan is still a joy to be around. Frankly I’m glad March is done. The last couple months have been a slog but spring is here, Lent is done so I can drink, and we are planning our summer so things are looking up. I’m really curious about Being There. Obviously it wasn’t a home run if you gave it 3 stars, but I love that movie. Hope you and your family have a blessed Easter! Evan’s Easter Basket is adorable! It looks like you had a good reading month, too. I’ve seen the Jaqueline Winspear books around a lot lately and I’ve been thinking about starting the series. What a beautiful boy! My baby turned 10 months last week – where has the time gone? Congrats on the breastfeeding. Nathaniel isn’t really into nursing anymore – I am lucky if I can get him to do it 2x/day. Lots of formula!